How to Get into Garment Business? I had received hundreds of queries related to small business set-up in the garment industry. Most of them expressed their desire to learn - how to get into garment business? What are the requirements for setting up a business? How much money need to invest in the project? Etc. In this post, I will show you things that you need to look into for starting a small-scale business in garment manufacturing. Remember, it is not necessary to learn everything about garment manufacturing. Just learn what all areas you need to focus and how to get into this business step by step. For other things, you can employ skilled professionals and experts. 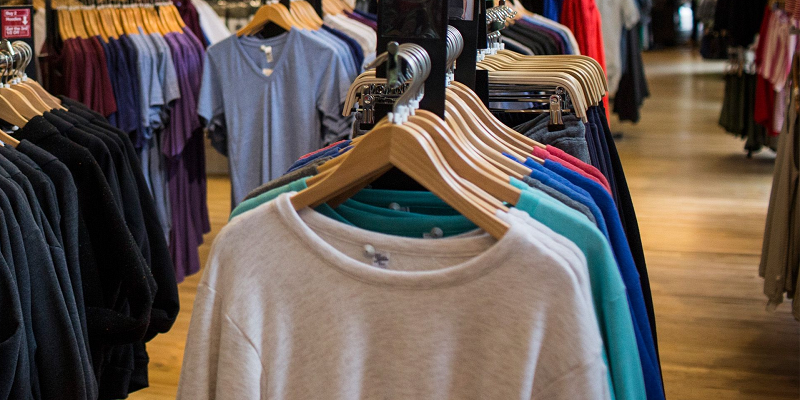 Also, remember by reading this small piece of article, you are not becoming an expert in stating garment business, but you will get direction for your plan of actions. Following are the key steps to get into garment manufacturing business. There are many product categories in the clothing line. Prior to entering into business and working on other steps, choose a couple of products for your business. For selecting the right products, do research on a couple of things like - current trends, hot selling products, basic products ranges. Make a list of products you like to manufacture. And concentrate on selected product range to build your dream business. I mean acquire knowledge about the garment industry. The Internet is a good help for exploring the garment industry. Let say, you like to start a shirt making factory. So, gather information related to shirt production. Look into the process flow of the shirt manufacturing, raw materials requirement and machines to purchase for a shirt factory. Nothing to mention much as you know to set up a manufacturing business you have to invest in machines, materials and manpower. So you need to arrange a fund. How much money you will be needed is depend completely on your business size and product profile. The fund can be raised by partnering with someone who is also interested to start a business in the same field. You can apply for a loan from the bank. Check Govt. schemes on small-scale garment business start-ups. Whatever you make, you need to find customers to whom you can sell your products. So find whole sellers (for domestic market) or open your own store or look for buying agencies for international buyers. If you plan to make garments for the local market, contact with clothing shopkeepers and understand their requirement. You might get an idea on product selection after talking to shopkeepers. Build suppliers base (for raw materials and services). In manufacturing business quality raw materials are key producing quality garments. Major raw materials of garment making business are fabrics, trims and packing accessories. In this information age, it becomes easier to get a list of suppliers from free classified websites, like IndiaMART, alibaba.com, justdial.com etc. Shortlist suppliers for your business and contact them. Or you can talk to existing business owners for required information for sourcing. Secondly, you need to research the market for understanding the price of the raw materials. Aim to reduce sourcing cost and material cost as much as possible. If you like to make strong business strategy then learn basic of garment business process, supply chain and marketing of your business (product as well) and cost accounting and business administration etc. The most important thing to remember that if you are new to this field, for starting a garment unit, hire an expert(consultant). This has many benefits - you can invest money in the right types of machines, can have the right factory layout, and develop systems from the beginning. Working with an expert would help you many ways - you will learn things quickly. Purchase sewing machines and other machines and equipment based on the products and planned production quantity. You will get guidance for a complete requirement for setting up your factory. Employees professional for various business functions. For selecting right professionals, you can also take guidance of industry experts. Read books on managing a small business. Read both success stories as well as failure stories related to garment business or other businesses. Though every business is unique, books will help you to understand managing a business well. What path to follow and what to not follow. Complete paperwork and legal documents. You can skip learning for paperwork required for setting up business and legal things by hiring a Chartered Accountant and other professionals. You might be thinking of starting a business for a long time but didn't make it happen. Reasons might be due to a lack of confidence or lack of know-how. Don’t wait for a perfect time. It will never come. If you have a dream to start a business just start it. Pick a pen and paper and draft your business plan. Surf on the net to gather knowledge and required information. Start building your business step by step according to your business plan. These all are necessary things to follow if you like to enter into garment making business whether in small scale or large scale. If you have any question related to starting a garment manufacturing business send me your queries. I will reply to your mail. I would suggest you visit "FAQs on garment business start-up" page first and check if your questions have been already answered. Wishing you all the best and have a great success in your business. Online Clothing Study: How to Get into Garment Business? IF you are planning to get into the garment business, you much follow these steps. List of things you need to learn and do for entering into garment business.